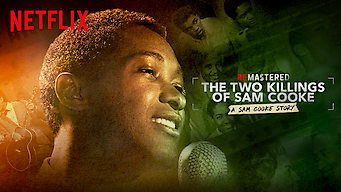 How to watch ReMastered: The Two Killings of Sam Cooke (2019) on Netflix Egypt! Yes, ReMastered: The Two Killings of Sam Cooke is now available on Egyptian Netflix. It arrived for online streaming on March 8, 2019. We'll keep checking Netflix Egypt for ReMastered: The Two Killings of Sam Cooke, and this page will be updated with any changes. While Sam Cooke rose to stardom as a soul singer, his outspoken views on civil rights drew attention that may have contributed to his death at age 33. A vital American voice, silenced with a bullet. Decades later, Sam Cooke's death remains shrouded in mystery.